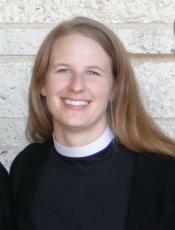 The Reverend Mindy Roll is the Lutheran (ELCA) Campus Pastor for Texas A&M and Blinn College. She is a 2003 graduate of Texas A&M (B.A. Political Science), a 2007 graduate of Yale Divinity School (M.Div., Lutheran Studies), and a 2011 graduate of the Lutheran Theological Seminary in Gettysburg (S.T.M., Pastoral Care/Pastoral Theology). Originally from Houston, Pr. Mindy grew up at Faith Lutheran in Bellaire. She began in the Brazos Valley in September of 2010. From Pastor Mindy: Treehouse is a welcoming place to bring all of you - your doubts, struggles, hope, shame, fears, confusion, optimism, and desire to know God. You'll be challenged, laugh (a lot! ), make solid friendships, and find a home in the midst of swirling college life. As your campus pastor, I am here for support, confidential conversation, help, reflection, spiritual growth, questions... and coffee! Email me to get together. I would love to get to know you. Mike Pickett joined Treehouse as Program Director in September of 2017. He is a 2009 graduate of Anderson University's School of Theology (M.Div.) and a 2016 graduate of Trinity Lutheran Seminary (STM, Theological Studies). Mike is originally from Illinois (go Cubs!). From Mike: I love being part of Treehouse's ministry here in Aggieland! I divide my time between admin work in the office and ministry to students. I'm always around the offices at Canterbury and enjoy getting to spend time with students all throughout the week. There is usually a lot of laughter around the office. Working with college students brings me a ton of joy, and I look forward to many opportunities to support, challenge, and encourage students during their time at Treehouse. I am always up for coffee and good conversations, so email me or come find me in our offices! Pastor Rich brings a wide variety of gifts to Treehouse as a pastor, priest, pilgrim, writer, speaker, contemplative, and spiritual guide. Pastor Rich serves the students at Blinn College in Brenham, where he works to build a dynamic ministry presence on campus. Pastor Rich also works at Salem in Brenham, one of our wonderful partnering churches. To learn more about Pr. Rich's work, see his website. Chris plans, leads, and teaches new music to Treehouse at our Tuesday night worship services. Most recently, he served as the music director at Peace Lutheran Church in College Station. 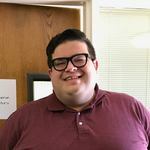 As he joined the staff of Treehouse, Chris also joined the ranks of students again as he returned to school full-time to pursue a degree in mathematics. Our 2018-2019 Student Leadership Team is composed of 12 dynamic Blinn and Texas A&M students with a passion for the Good News. Our 2018-2019 Campus Ministry Board is composed of a variety of persons from the Bryan-College Station-Brenham-Houston-Dallas area, each with a unique passion for supporting campus ministry.